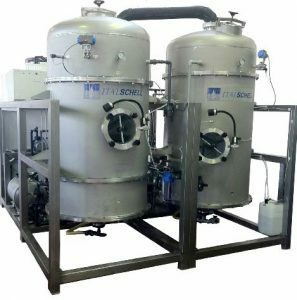 Our products ranges from cost-saving and highly efficient laboratory equipment with a distillate water flow of 1 litre per hour, to high-performance industrial plant with a capacity of up to several cubic metres per hour! The parts of the plant in contact with the fluid are made in special material (metal or polymer) in acid resistant format. It’s apply for the concentration of highly corrosive substances such as: chromic acid, hydrofluoric acid, hydrochloric acid, electroplating waste waters, etc. Usable in presence of energy sources and waste heat (for example, hot water / steam / thermal oil) to reduce more and more the plant electricity consumption. For the concentration of waste water into a muddy, pulpy, consistency. For the concentration of waste water into a crystalline concentrate (salt). 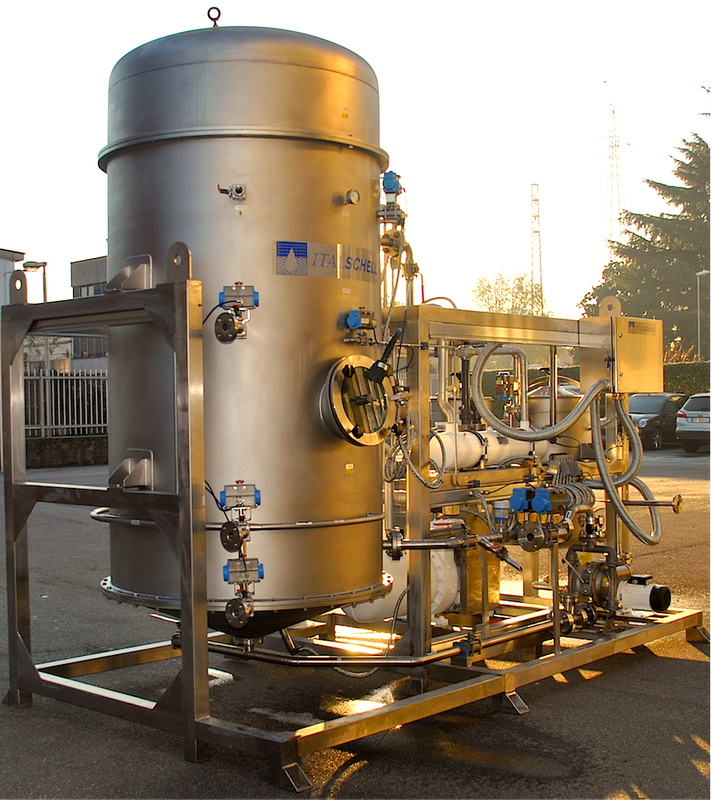 Multi-stage evaporators enable energy consumption to be reduced to a third! This system is in use at the Austrian Mint in Vienna, and won the European Award for Technical Innovations in Paris 2015. For the treatment of radioactively contaminated waste water. This system is being successfully used by ANSALDO NUCLEARE in Italy. Use our contact options – call us for further information!